The battle between the Government and an Opposition without a leader in the chamber was launched today. This was the unofficial first day of a long, unusual election campaign. 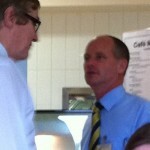 The anointed leader of the LNP, ex-Brisbane Lord Mayor Campbell Newman, arrived at 9.15am and signed in (“C. Newman”) as a guest of the Opposition at the Queensland Parliament building. But he did not make his expected appearance in the public gallery, which was packed with schoolchildren. Instead he watched proceedings on closed circuit television in the Opposition offices. As the day in Parliament began, a carefully-crafted Government strategy involved a series of ministerial statements proclaiming recent achievements including disaster relief, economic performance, strong action on preventing weapons in schools. Minister by minister laid it out – Sunshine Coast hospital, 150,000 more train seats every week, speed cameras to save lives, government sponsorship of tourism operators to attend the Sydney Tourism trade show and more. Many Government boasts were linked to assertions of a correspondingly poor performance by Campbell Newman in his stewardship of the Brisbane City Council on a range of issues such as high rates, failed tunnels and deferred projects. A popular recurring theme among ministers was that Mr Newman had “run away from his responsibilities”, “left the people of Brisbane in the lurch”, and was a poor figure in contrast to many mayors throughout Queensland named as having “the character to stick to their responsibilities”. Seat-warming Opposition leader Geoff Seeney rose at the end of question time to dutifully defend “Can Do’s” legacy as Lord Mayor after the withering barrage of criticism from the government. Meanwhile, Mr Newman appeared outside the front of Parliament House for a media conference at noon where he criticised the Government’s attacks and praised the comments of Mr Seeney. 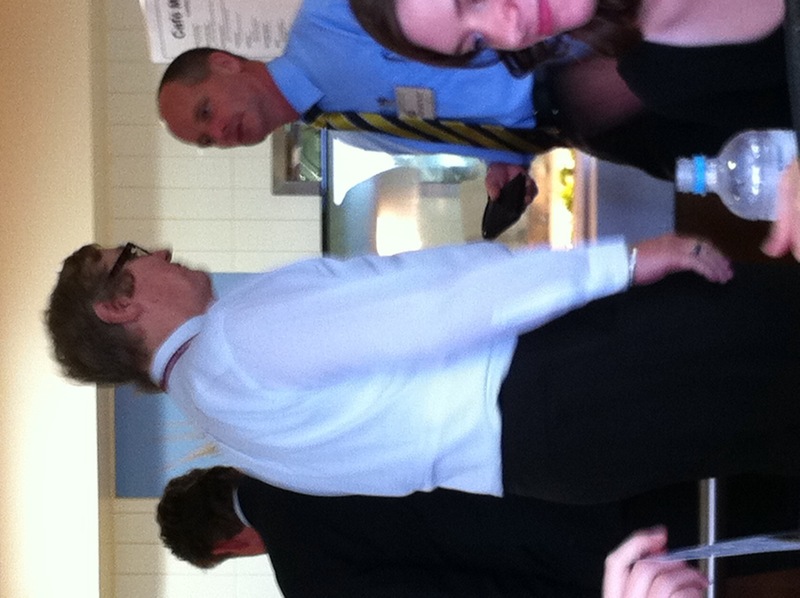 He later lunched at the Parliamentary canteen (right) with Liberal National Party confidants. 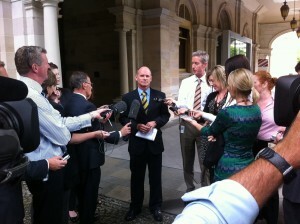 Recently deposed deputy Opposition leader Lawrence Springborg dined at a separate table.